Phenylbutazone is a nonsteroidal anti-inflammatory drug (NSAID). It is a potent pain reliever and anti-inflammatory. It also may be used to reduce fevers. In the horse, phenylbutazone is commonly used for lameness due to soft tissue injury, muscle soreness, bone and joint problems, and laminitis. NSAIDs work by inhibiting the body’s production of inflammatory mediators. Some of the actions of phenylbutazone may be dose-dependent. Phenylbutazone is an inexpensive, generally well-tolerated, drug. It frequently is the first choice for pain control of many musculoskeletal problems. Other NSAIDs, such as flunixin, are more commonly used for gastro-intestinal pain or colic. Recent research into NSAID toxicity and equine gastric ulcer disease may have given phenylbutazone a bad reputation for safety; however, when used at the appropriate dose and according to directions, phenylbutazone generally is a safe and effective drug. 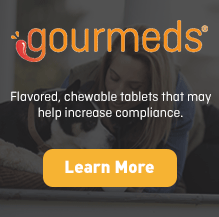 Phenylbutazone is FDA approved for use in horses; when the appropriate dosage form, flavor or strength is not available from a veterinary pharmaceutical manufacturer, it may be compounded by a specialty pharmacy. Give this medication to your horse exactly as your veterinarian prescribes. If you miss giving your horse a dose of phenylbutazone, give the next dose as soon as you remember or, if it is close to the next scheduled dose, return to the regular schedule. Do not double dose to catch up. Wash your hands after giving your horse this medication. The most common side effects include ulceration of the mouth and digestive tract. Less common side effects include kidney damage, bleeding disorders, and protein loss. Keep this and all drugs out of reach of children. Phenylbutazone is a prescription drug and should be used according to your veterinarian’s directions, and given only to the animal for which it was prescribed. Do not give this medication to a person as it can cause very serious side effects in humans. Phenylbutazone should not be used in animals that may enter the food chain and it should not be used in animals that are known to be allergic to this drug. Additional care should be used with special populations such as older horses, debilitated or dehydrated horses, ponies and foals. These populations are more likely to have adverse side effects. When NSAIDs are used in these populations, they should be used with caution and at the lowest effective dose. Drugs to protect the GI tract such as omeprazole, cimetidine, and sucralfate are sometimes used with phenylbutazone. Phenylbutazone should be avoided or monitored very carefully in animals with liver disease, kidney disease or digestive problems. Phenylbutazone should be avoided in animals with anemia or bone marrow suppression. Therapy should be stopped at the first sign of any adverse reaction (e.g., loss of appetite, oral ulcers, depression, decreased plasma protein, increased creatinine, anemia, or decreased white blood cell count). Studies in laboratory animals indicate that phenylbutazone may be harmful to the embryo. It can cross the placenta and is found in milk. Phenylbutazone should be avoided or used with caution in pregnant or nursing animals. Some veterinarians and many horse owners, particularly those involved in showing, may use more than one NSAID in combination, for example, flunixin and phenylbutazone given together. Although there is little experimental evidence to support this practice, the theory is that different NSAIDs may act differently on different body systems. Particular care needs to be taken in this situation to avoid toxicity. Be sure to review with your veterinarian any medications or supplements your horse may be receiving. Avoid combining phenylbutazone with other anti-inflammatory drugs that tend to cause GI ulcers, such as corticosteroids and other NSAIDs. Avoid combining with anticoagulant drugs, particularly coumarin derivatives. Phenylbutazone may decrease the effects of the diuretic furosemide. Phenylbutazone should be used with additional care if used with other drugs that are toxic to the liver. Overdoses of phenylbutazone can cause kidney failure, liver injury, bone marrow suppression, and gastric ulceration/perforation. Early signs of toxicity include loss of appetite and depression. If you suspect your horse or another animal was accidentally overdosed or has eaten this medication inadvertently, contact your veterinarian or the A.S.P.C.A.’s Animal Poison Control Center at 888.426.4435. Always bring the prescription container with you when you take your horse for treatment. Different strengths or dosage forms of phenylbutazone may have different storage requirements. Read the labeling or ask your pharmacist for the storage requirements of the prescription you receive.